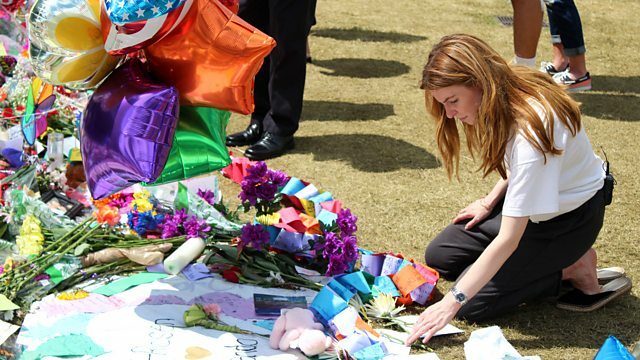 Stacey Dooley travels to Orlando in the aftermath of the Pulse Bar shootings. She attends vigils, marches and funerals to see how America responds to this latest atrocity and she’ll ask if this could be the one to finally make a difference. Stacey explores the levels of prejudice and homophobia faced daily by the LGBT community in America, levels that are often compounded if you belong to an ethnic or religious minority. With revelations that the shooter may himself have been gay, she will also try to track down and talk with gay Muslims to understand the conflict they face between their religion and their sexuality. A collection of documentaries looking at the issues dividing the US in 2016.